Home Misc. Astrology in the sweet science of boxing. As an boxing fan I’ve always wanted to know why some fighters acted the way they do in the ring. Why would some tire out early on in the fights. Why some were defensive minded, why some were come forward pressure fighters. So I will go into some of the things I have found in terms of why fighters succeed and what has been their downfall. One of the first observations I’ve noticed outright is that a huge number of the greatest fighters of all times are earth signs. (George Foremen, Muhammed Ali, Joe Frazier, Pernell Whitaker, Bernard Hopkins, Roy Jones Jr., are all Capricorns. James Toney, Shane Mosley, Juan Manuel Marquez are Virgos, Sonny Liston, Sugar Ray Leonard,Sugar Ray Robinson are Taurus’s for example). This most likely stems from the fact that earth signs are the most grounded and can deal with the routine rigors of a training regimen much better than the other elements. There are some excellent fire sign fighters. The thing with the fire signs is I believe they need a good trainer to direct their restless energy. Before Wladimir Klitchko( Aries) was being trained by Emmanuel Steward (Cancer) he was very susceptible to being knocked out because of reckless aggression. Now his approach is more measured, cautious, and reserved and he hasn’t lost in some years, although many if not most would argue that is due to lackluster competition. Manny Pacquiao (Sagittarius) and Freddie Roach (Pisces) is another combination that has worked out quite well. Manny is still a buzzsaw, but Freddie seems to have tempered his fire a bit and helped him look for his spots as opposed to simply trying to overwhelm opponents. The interesting thing about this is Aries and Cancer are square, and Sagittarius and Pisces are squared. They aren’t really compatible. My thinking is that they never really feel completely comfortable with each other and that keeps a good working relationship. Because when two become too comfortable intensity will most likely diminish. Water signs are very interesting. You have hard hitting Cancers like Mike Tyson, Jake Lamotta, Vitali Klitchko. They seem to hit very hard or when rattled hit harder. But also seem to fold up when befuddled and while being hit. This would go for the Scorpio fighters like Zab Judah, Miguel Cotto, Antonio Tarver and Hasim Rahman as well. They have an emotional intensity in their power that can be devastating, but at the same time when hit too much or pressured and confused. Seem to emotionally exhaust themselves. Pisces fighters seem to have a high pain threshold. Watch Nate Campbell, Chris Arreola, or Antonio Margarito fight. Pain and suffering seems to motivate these fighters. Even if they win they emerge from the ring in a battered state which is interesting, they seem take punishment as a badge of honor. The martyrdom that Pisces is known for. Floyd Mayweather Jr. is the exception here. Now, in a natal chart we know that the sun rules the heart and soul of a person but the mars placement is the placement of aggression, war, and battle. Aries is at home in mars and like I said earlier, Evander Holyfield has his Mars in Leo. This should be clear by seeing his trilogy with Riddick Bowe or any of his other fights. He was and is never one to say die or throw in the towel. I would argue that this placement is not the best for a professional boxer. It does provide for great energy and aggressiveness as well as quick retaliation in the ring. But, it doesn’t seem to make for the most thoughtful of fighters. I would argue that mars in air or earth is the best for boxing. As well mars positively aspecting Saturn, Jupiter, or Pluto. Floyd Mayweather Jr. has his natal Mars in Aquarius, as does George Foreman. Floyd Mayweather Jr. has a T-square forming with Saturn which lends to his famous stamina. (Antonio Margarito is another fight whose mars touches Saturn his stamina has gained notoriety as well). Mars aspecting Saturn shows a person who has the work ethic to conquer anything because they never feel they work hard enough. Floyd’s Saturn in Leo show that his father was very harsh on him growing up and he constantly works for his approval. This is despite their tumult laden relationship. Mars in air in my observation allows Floyd to “detach” from the fight and intellectualize and analyze the fight. With that intellectual Mars placement allows him to keep it cool in the face of danger and not waste energy or become rattled easily like someone with a water or fire Mars , or Mars that negatively aspects Jupiter or Pluto. Sugar Ray Leonard has Mars in Aquarius and a fixed sign T-square with his sun and Pluto touching mars lending to stamina. Mars in Earth has a pragmatic and unemotional approach which saves energy and prevents recklessness and is not excited or rattled easily. Good at committing to a training regimen as well and sticking to the routine. Now to touch on negatively aspected Mar planets. Take Shannon Briggs for example, he has Mars in Pisces, and it’s square Jupiter. So not only is his Mars planet highly susceptible to emotional energy drains , it also depends on mood and feelings to get going. It’s not a high energy Mars and is also squared with Jupiter. This means that energy will also be recklessly wasted. Which is not something that lends well to a Mars in that place. These are just a few things I have noticed in terms of boxers and astrological placements. I really could write a book about it because of it’s intricacies but I hope I’ve helped shed a little light on it. And Leo Mars is actually one of the best placements for Mars after Aries and Scorpio. Leos definitely have some good fighters in their ranks. Defeat cuts deep and it takes them a long time to recover. I maintain that Mars in Leo is one of the greatest athletic placements possible. I believe it’s better than both Aries and Scorpio Mars. Hi Seth, I was born 03/19/1997 I have my Mars in Virgo an Earth sign and let me tell you.. You hit the MONEY when you said we have an unemotional approach to fighting. I feel like, since I do have an unemotional approach it allows me to stay CALM which in turn saves me alot of energy which you also hit the money on. Also, I might sound crazy but I feel like that calmness helps me react not predict but react to punches incredibly well. Its hilarious I actually still even surprise myself MID fight haha. Well, thanks for the article it was a good read im interested in if you can actually tell me more about myself without even knowing me or maybe something completely new I dont know about myself that would be cool. How are you Manuel. Are you an amateur boxer ? Pro? Bernard Hopkins is one of the top historical Mars Virgo boxers. Contact me if you’re interested in knowing more. hey i would like to know more about mars virgo boxers, because i am mars in virgo. Im intrested..plzz tell me..my b day is 05/02/1999 and virgo..in earth..and so on..
Hey thanks for sharing and good luck! The Easton Assassin! One of the best jabs in history, great point! Leo’s have been very dominant as well in all kind of physical Sports period and Pieces have been very Gifted for Physical Sports too pieces are the Most determined to prove them selfs in life there are Geniuses as well Leo’s are best known for Ambition and Heart Pieces are the Most Spiritual Sign the very determined to prove them selfs in Sports because of it and Leo’s are Kings of Competition leos and Pieces are the Best when it comes to Competive it Come to Competive Sports in Mma the Majority of the Champions ate of Leo and Pieces Sign and in the Nfl alot of the Goats in the Nfl are of leo and pieces sign Walter Payton, And Tom Brady are Leo’s and Tony Gonzalez is a Pieces Leo’s and Pieces are the Future in Sports. Mark my words we taking over. 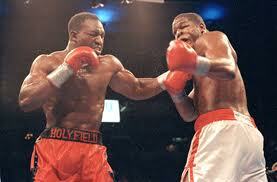 Libra , very underrrated in fighting: AJ, Deontay, Hayes. Better in MMA and Kickboxing: Fedor, Matt Hughes, Rich FRanklin, Frankie Edgar, Rockhold, Holly Holm, Carla Esparza. Glory KB: Gokhan Saki, Mertel Gronhert, Von RoosMalen, Sitichai . ALL champions past and present. Also don’t discount Leo and Saggi, with the most UFC champions ever. Martial art is still an art and the Godess of beauty is its ruler and it govern Libra. Libra rules all things in the middle, the middle of the body is the hips, and they controll all complex movements and guess what … fighting is a complex movement, it ain’t moving back and forth in a straight line. This makes Libra fast and powerful whilst disguised in its agility and flexibility.They don’t look fast or powerful until it lands then you feel it !!! Reasons why Leos are great fighters is obvious, for Saggis, once again look at the symbol; archer mounted on a horse ! Can’t get more martial / athletic than that, I actually favour them over Leo. Pisces, well don’tlet the drawing fool you; Sharks ARE fish too ! The surprise is Scorpio, Taurus and Cap and why they rank so low. Aries is obvious, as said they’re far too reckless.